Jordan Brand never disappoints when it comes to new colorways. The Air Jordan 3 has been done up in many different ways, but not like this. 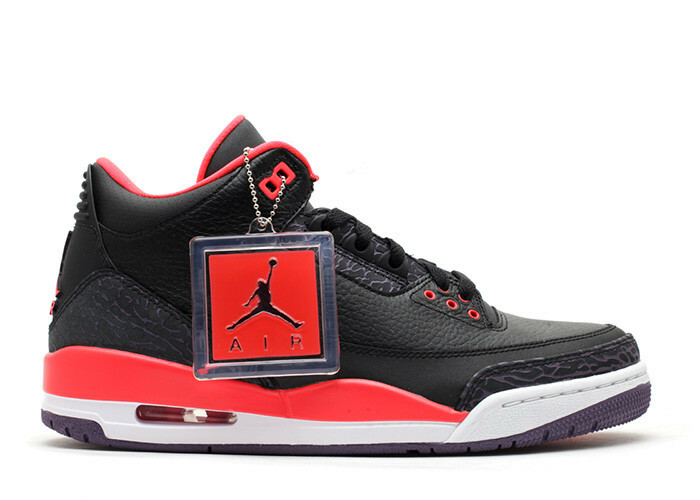 The Air Jordan 3 "Crimson" is the first of its kind to hit retailers in 2013. The black leather upper is contrasted by a bright crimson throughout the entire sneaker. Subtle purple accents are worked in to the design only adding to the appearance. Finished off by a white midsole, the clean design won't be the last we see.